I just read a short story that I liked so much I want to share it with those who read my blog. Any dog (or pet lover) will really love this story, I think. Almost every day I at least look at the story of the day on East Of the Web:Short Stories. The story today was "At the Gate" by Myla Jo Closser. There is sparse biographical data available on Myla Jo Clossser. There is no Wikipedia article on her. She has only one published work that is known and that is this story. She was born in 1880 but I could not find a date of death or place of birth I think it is safe to assume she was American. She was married to Tarkington Baker who was it seems quite successful in the early days of the motion picture business. 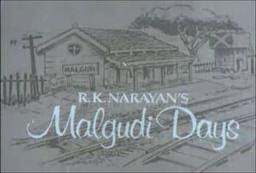 He was at one time the general director of Universal Films which became in time the still existing Universal Studios. I am assuming that this meant she had a comfortable and affluent life style. 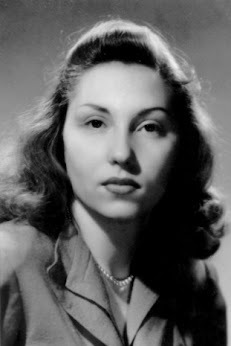 She was cousin by marriage with the Pulitzer Prize winning author Booth Takington who was persuaded to writer for the movies by Closser's husband. (I would like to know more about Myla Jo Closser and if anyone has any information please leave a comment). "At The Gate" answers the question every child with a beloved dog has asked a parent, "Do dogs go to heaven?". It is a simple story that would be a great read aloud for young children. Anybody that has a bit of the child left in them will like this story. The style has a simple hard to resist beauty. As it opens a big Airedale, our lead character, is running through an unknown to him but very friendly seeming woods. He is driven north by a smell. The scent of the dogs grew very strong now, and coming nearer, he discovered, to his astonishment that of the myriads of those who had arrived ahead of him thousands were still gathered on the outside of the portal. They sat in a wide circle spreading out on each side of the entrance, big, little, curly, handsome, mongrel, thoroughbred dogs of every age, complexion, and personality. All were apparently waiting for something, someone, and at the pad of the Airedale's feet on the hard road they arose and looked in his direction. At first the dog does not understand why all the other dogs ignore him as in his former home area dogs were all very interested in each other. He sees there is a large gate and he wonders why the dogs are not trying to get through the gate and he is even more puzzled when it looks like the gate is open. Why do not the other dogs go through the gates to looks for their human family? He becomes friends with a bull terrier and we learn some of the dogs have been waiting at the gate for a long time and some have to wait just moments. I do not want to tell any more of the plot this story other than just to say it will lift your spirits for sure. "At the Gate" is a really enjoyable read. I admit personally in my mind I imagined cats at the gate!- Your children will love this story also. You can read it in under five minutes HERE. If anyone has any suggestions for short stories I might like (and can read online) please leave a comment and if anyone has more data on Myla Jo Closser please leave comment. July in Paris is almost over. When I saw that the story of the day on East of the Web:Short Stories was "A Confession" by Guy de Maupassant I decided to read it. I have already post on two of his works, Pierre Et Jean his highly regarded novella and "A Father's Confession". Having read only three of his works now it already appears family secrets and confessions of old sins are among the dominant themes of de Mausassant. They lived together all the days of their life, without ever being separated a single time. They went side by side, inseparably united. But Marguérite seemed always sad, oppressed, more melancholy than the elder, as though perhaps her sublime sacrifice had broken her spirit. She aged more quickly, had white hair from the age of thirty, and often suffering, seemed afflicted by some secret, gnawing trouble. It is the cause of that trouble that is the subject of her confession. I found the ending of this story very moving and powerful. The story can be read in only a few moments and it might stay with you for life. In just a few pages de Maupassant creates a world in miniature. Some who do not like short stories may bemoan the fact that we do not have the details we would have in one of the behemoths of the 19th century novel and they are right. We are given the freedom to create our own details by the genius of de Maupassant. If anyone has any suggestions as to other short stories I might like (an preferably can read online) please leave a comment. Nagai Kafu (1879 to 1959-real name Nagai Sokichi) wrote about the world he lived in and loved, Geisha girls, exotic dancers, and prostitutes. Maybe he is not among the immortals of Japanese literature of his period. He was not an man of extreme culture and erudition like Ryunosuke Akutagawa . He did not write a dozen novels like Junichio Tanizaki that belong in the canon. His face did not wind up on Japanese currency like Natsume Sosoki but he lived out the adage that one should write about what you know and love. Here is a quotation from the Japan Times in which Kafu kind of sums up his life: "in Tokyo and even in the Occident, I have known almost no society except that of courtesans." Kafu attended a university but did not graduate, he studied French Literature as so many Japanese writers have. He began to sell his short stories at age 19. In 1903 his family sent him to Tacoma Washington (USA) to stay with family friends in hopes he would be turned away from his obsession with the pleasure quarters of Tokyo. From there, I do not know why or how, he ended up in college in Kalamazoo Michigan (USA). He then worked briefly for a Japanese bank in New York City. While in the USA his only real interest was touring as many brothels and disreputable bars as he could. Given the choice between living in a fancy area of New York City and a very poor area he choose the poor area to be close to the cheapest brothels. Back in Japan he had two marriages that lasted less than a year each, lived for a while in a Geisha house, went to France for a year or so and published a collection of short stories on his trip to the USA and one on his trip to France. Both of these collections were banned in Japan shortly after publication as they focused on the world Kafu knew and loved, brothels, bars and the poor side of town. I think he wrote the only Japanese account of a visit to cheap American and French brothels prior to WWI. Rivalry: A Geisha's Tale is set in the pleasure quarters of Tokyo. One of the questions often asked in discussions on Japanese literature is whether or not a geisha should be seen as a kind of prostitute. In Rivalry: A Geisha's Tale they are treated as enterprising women who take a bit of cultivation but they are seen as basically prostitutes. There is no negative value judgement made on the women in the life. Kafu spent as much time and money as he could in the pleasure quarters. That and writing his stories was his life He never married again after his two youthful marriages and had no children. I could not help but wonder if maybe his two wives were both unable to live up to the standards of the professional women Kafu knew. We get a good look at the day to day business of the life of a geisha. We see the varying status of the women in the profession. We see that the Geisha try to find wealthy patrons or even husbands to set them up in their own geisha or tea house. In one very well done scene a woman who used to be part of the scene returns for a visit to lord it over her old coworkers now that she is married to a wealthy former client. A tea house in the world of the pleasure quarter is a place where a Geisha and a customer could go for a liaison. Some of the lower class tea houses were also brothels. As a geisha aged and found no patrons she would often become more or less a woman on demand prostitute. The geisha may have been trained to create an illusion of culture and refinement but they had no delusions about what their clients ultimately wanted from them. The pleasure quarter is a too be expected entity in a society which expected women to be virgins at marriage and men to be experienced. Made into a movie this book would have an R or maybe even an X rating. We also learn about the men who live off the earnings of the geisha ladies, tea house girls and dancers. They are referred to as the "parasites of the quarter". We also learn a bit about the theater of the time. Geisha girls all wanted to have the most famous actors of the time as their clients. 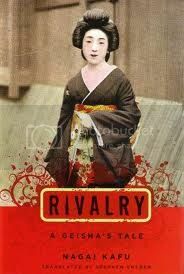 Rivalry: A Geisha's Tale is a an enjoyable read with well developed characters. It gives us an open eyed look at life in the pleasure quarters of Tokyo in the 1910s. It does not feel like a near 100 year old novel (of course it is a brand new translation by one of the highest regarded translators of Japanese literature.) I would endorse it to anyone interested in older Japanese novels. I took a quick look at the Wikipedia list of novels published in 1918. I have read only a few of them but I am quite sure Rivalry: A Geisha's Tale would shock many of the original readers (and authors) of these books. I am glad I read Rivalry: A Geisha's Tale. I sort of think of Nagai Kafu as the Japanese literary match for Henri de Toulouse-Lautrec. It it also reminded me of a work I recently read for the classics circuit, Nana by Emile Zola which was set in the pleasure quarters of 19th century Paris. The attitudes of Zola and Kafu to the world of the demimonde are very different. After Katherine Mansfield (1888 to 1923-Wellington, New Zealand) died her husband, John Middleton Murry anthologized her early short stories in two collections. (There were already two collections of short stories published prior to her death.) Some of the stories in this collection focus more on New Zealand life than those of her stories I have previously posted on. Some of the stories in this collection could be compared (in terms of subject matter) to the works covered so far in The Reading Life Australian Bush Writer Project. "A Truthful Adventure" is about a young woman, named Katherine, on a tourist trip to Burges, Belgium. Burges was a beautiful town right across the English channel full of beautiful old buildings and museums with great Flemish master paintings. It proximity to England made it a frequent short holiday destinations for people from London. Katherine goes to check in at a local hotel and is informed the only place she can stay is in a private home owned by the hotel owner. I have noted there is a lot of traveling in the stories of Mansfield just as there was a lot of traveling in her life. I enjoyed very much the depiction of the relationship of Katherine to the porter in the hotel. Part of this story is an acceptance of being along and the pleasure of traveling alone. I think one of the larger differences between the work and lives of Woolf and Mansfield (and for that matter Kate Chopin and Jean Rhys) is how they related to being alone. "New Dresses" starts right in the middle of a marital disagreement over expenses. As I read this I wondered if this was a flashback to Mansfield's New Zealand childhood (her father was very successful banker). The argument is well done enough to be painful to anyone who has ever had such a conversation with their spouse. We also have to accept that it is a satire on the middle class as the story was written in a time and place where "bourgeois bashing" was very trendy. "There is no twilight in our New Zealand days, but a curious half-hour when everything appears grotesque—it frightens—as though the savage spirit of the country walked abroad and sneered at what it saw. Sitting alone in the hideous room I grew afraid. The woman next door was a long time finding that stuff. What was she doing in there? Once I thought I heard her bang her hands down on the counter, and once she half moaned, turning it into a cough and clearing her throat. I wanted to shout “Buck up!” but I kept silent." There is nothing "youthful" or artistically immature about "The Woman in a Store". . The ending will shock you a bit by its sheer power as it forces you into the mind of the woman traveler as she tries to come to terms with her experience. "Ole Underwood" is another story set in the New Zealand back country. The story is dedicated to Anne Estelle Rice, an illustrator for the journal edited by Middleton and a close friend of Mansfield. Ole Underwood is a crazy old man wandering the back country. One has the feeling that such figures were not unusual. He murdered a man that killed his wife. “Oo done 'er in? “asked the man. “Dunno. 'E dunno, nor nobody. 'E was a sailor till 'e marrid 'er. Cracked!” The man spat and smeared the spittle on the floor, shrugging his shoulders. “'E's 'armless enough." Mansfield does make use of the prevalent speech patterns in her bush stories and I am glad she did as it makes the stories and characters more real for us. I am about one third way through Mansfield's short stories now. I also intend to read her notebooks and the standard biographies of Mansfield. I hope this project will be largely completed by the end of September. So far I have posted on thirty six of her stories with some of the most famous ones sill to come. I recently discovered a new to me writer in my research on Australian Bush writers that I wanted to learn more about and post on. Henry Handel Richardson (pen name of Ethel Florence Lindsey Richardson) was born in Melbourne Australia in 1870. She died in 1946 of cancer. 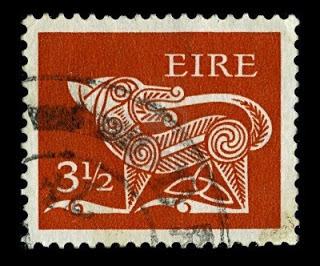 Her roots were Irish and English. 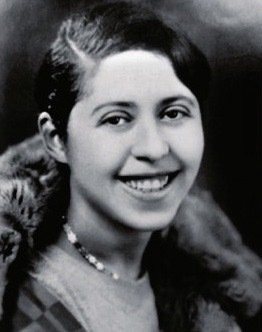 Her father was a successful doctor specializing in obstetrics who achieved some affluence through the purchasing of shares in gold mines. . At age 18 her mother took her to Europe to pursue musical studies. She remained in Europe and England until 1912 when she returned briefly to Australia to research her family history. 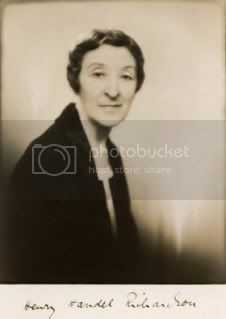 Based on her father's experience as a doctor in the colonies (he was in part a bush doctor so this justifies me in including her in my Bush Writers Project) she published her master work, The Fortunes of Richard Mahoney (1930). It is a trilogy (over 1000 pages) and is set in the gold fields in mid Victorian Australia. One of the great things about short stories is they let us get to know new to us writers without a huge time commitment. Richardson also wrote and published a number of short stories, some of which can be read online. Before posting on "Two Hanged Women" I should point out that Wikipedia in its article on her says that Henry Richardson should be considered a bisexual but the Australian National Dictionary of Biography explicitly says that is a pure conjecture unsupported by any concrete evidence. She was married for many years and after her husband's death felt she maintained daily contact with him through seances. She was an ardent support of the suffragette movement. "Two Hanged Women" is a simple story that opens on a young couple out for a romantic walk along a shore. They see they are not alone so they begin to make loud kissing noises hoping it will run the intruders away. It does work. The man is surprised to see the other two people were women and he refers to them as just "two hanged women". I did some quick research to see if the expression "hanged women" might have a meaning unknown to me in Australian slang of the 1920s and 1930s. A bit of quick research seems to indicate it just refers to two women "hanging out"-(being somewhere for no purpose). If I am missing something here please correct me. I really liked her prose style and the story line does seem to support the notion that the two women are lovers at least spiritually. I want to quote a bit from the story so other can see if they might enjoy her work and also to allow some play to the notion that this story is about a lesbian relationship. "I’m afraid of him . . . when he looks like that. Once . . . when he kissed me . . . I could have died with the horror of it. His breath . . .his breath . . . and his mouth — like fruit pulp — and the black hairs on his wrists . . . and the way he looked — and . . . and everything! No, I can’t, I can’t . . . nothing will make me . . . I’d rather die twice over. But what am I to do? Mother’ll NEVER understand. Oh, why has it got to be like this? I want to be happy, like other girls, and to make her happy, too . . . and everything’s all wrong. You tell me, Betty darling, you help me, you’re older . . . you KNOW . . . and you can help me, if you will . . . if you only will!” And locking her arms round her friend she drove her face deeper into the warmth and darkness, as if, from the very fervour of her clasp, she could draw the aid and strength she needed. Betty had sat silent, unyielding, her sole movement being to loosen her own arms from her sides and point her elbows outwards, to hinder them touching the arms that lay round her. But at this last appeal she melted; and gathering the young girl to her breast, she held her fast.— And so for long she continued to sit, her chin resting lightly on the fair hair, that was silky and downy as an infant’s, and gazing with sombre eyes over the stealthily heaving sea." I think most readers would enjoy this story. Katherine Mansfield is either the best or the second best (to Virginia Woolf) female writer of short stories. Mansfield's stories (I have now read and posted on 30 of them) are wonderful works of art that manifest enough intelligence to see through a dozen masks at once. 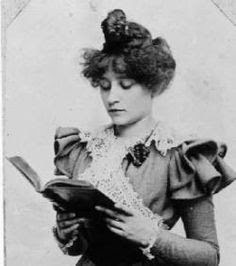 Mansfield (1888 to 1923-New Zealand) first began to publish and be paid for her stories at age 18 while still living in New Zealand. I think "Silhouettes" (1907) is her first published story. Thankfully it is online at the Katherine Mansfield Society Web Page . (Their web page is great resource for anyone interested in Mansfield.) After her death Mansfield's husband John Middleton Murray published a collection of her earliest stories, Something Childish and Other Stories (1924). Mansfield first met Murray through publishing one of her stories in a journal he edited. The great New Zealand Electronic Text Center has the full text online. There are twenty six stories in the collection. "Silhouettes", one of her very first published stories, is very brief and is of interest partially because she wrote it. It does show her descriptive power and reflects already the sensuous quality of her latter work. Say what you want about the prose, this is not something too many 18 year old women wrote 102 years ago. "The Tiredness of Rosabel" (1908) begins to show the power of Mansfield. Based on my limited reading so far, Mansfield seems better able to develop working class characters than Woolf. Rosabel is a sales clerk in a fancy hat shop. Most of the clientele who come in look down at her and she accepts this as natural. One day a very handsome young man comes in with a lady friend about the same age as Rosabel and no better looking than her. The woman is clearly very spoiled and difficult to please but at last agrees to accept as a gift hat costing more than a month salary for Rosabel and she promises the man she will wear it at least once. As Rosabel leaves work for her small forth floor walk up apartment she begins to imagine she is the girl friend of the man after he asks her on the sly if she had ever been painted. Mansfield enters beautifully into the fantasy world of Rosabel as she creates an elaborate vision of a society wedding. "How Pearl Button Was Kidnapped" (1910) is a strange story in that left me initially puzzled as to what happens to Pearl Buttons. Upon a bit of reflection on the use of the name "Pearl Buttons" I think we are to see Pearl as very young Maori girl who was kidnapped by slavers. It was the custom in New Zealand at the time to give "comic names" to Maoris that were used as house or field servants and I think this would have been common knowledge by readers of this story. Mansfield shows a keen awareness for colonial issues in this story (and elsewhere). "The Journey to Burges" (1909) is the story of a young woman traveling alone on a short sea voyage from England to Burges in Belgium. A young woman traveling alone is the frequent lead character in Mansfield's stories. The fun in this story is in the passing observations on the fellow passengers. Mansfield could be wicked! I am perhaps one third of the way through my first reading of Mansfield's short stories. Some of the most highly regarded of her stories are yet to come. I have also read some of her notebooks and her very neglected poetry. Latter I will probably read at least Claire Tomalin's biography of Mansfield and perhaps others as well. Virginia Woolf by Hermione Lee (1948-England) is a great literary biography. My only complaint on the book was that it was too short (and this for a book with 765 pages of small print-the rest is foot notes and index). I felt sad when the book was over and I met a lot of people I want to learn more about in its pages. I really want to learn more about Vita Sackville-West! Not to long ago I started The Reading Life Virginia Woolf Project in which I will be reading and posting on a lot of her fiction. So far I have read The Waves, Jacobs Room, three short stories and two essays. In part I was motivated to read Woolf for the first time by her relationship with Katherine Mansfield. (Lee has a beautiful chapter devoted to Katherine Mansfield and her relationship to Virginia Woolf). In early 2009 I read Lee's biography of Edith Wharton so I knew in advance her book on Virginia Woolf would be an extremely well written and intelligent biography that would help to prepare me to read Woolf. I totally endorse this book to any one with more than a casual interest in Virginia Woolf and her circle and times. Virginia Woolf is often, even though she died nearly 70 years ago, taken as the first modern woman writer. From Lee's biography I was left with a picture of a woman in transition. In many ways her life was very late Victorian. She clearly did not like being alone and needed to have a very large cultural and social anchor. I think part of her ambivalent relationship with Katherine Mansfield comes from the fact that the sensibilities of Mansfield are more of a woman alone in the world cut from her roots whereas Woolf clung to her ancestry and her crowd all her life. I plan to learn to read Woolf by reading Woolf. I am now reading Mrs Dalloway (that is the work Lee speaks of most often). I will read her short fiction as I can work it in and an essay occasionally. I am open to any suggestions as to ideas of how to read Woolf (other than starting with her first novel and reading from there!). I want to read her acknowledged best works first. I plan in a few months to read Quentin Bell's biography of his aunt. 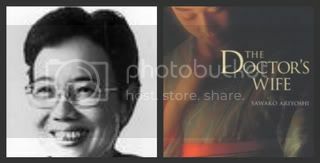 The Doctor's Wife is the best known novel of Sawako Ariyoshi (Japan, 1931 to 1984). She is among the highest regarded female authors to emerge in Japan after WWII. She graduated from college in 1952. Her area of concentration was the preforming arts with a special interest in Kubuki theater. After graduation she went to work for a publishing house and began to contribute articles to literary journals. In 1959 she received a Rockefeller Grant to study preforming arts for a year at Sarah Lawrence College in the USA. By 1968 she was able to devote her full efforts to writing novels, short stories and essays. 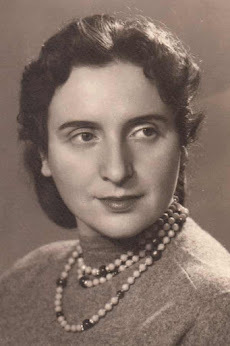 She never married or had children and died peacefully in her sleep in 1984. The Doctor's Wife centers on the life long conflict of the mother and the wife of Doctor Hanaoska Seishu (1760 to 1835) who was the first modern doctor to preform breast surgery using anesthetics. In this era of Japanese life the leading male figure in a household was dominant over all others. Ariyoshi does a very good job in detailing for us the conflicts of the wife and mother-in-law of the household. She portrays well their very long lasting feelings of mutual dislike and near hatred. I found the depiction of medical practice in Japan in the early 19th century fascinating. We get to see exactly how the business end of medical practice worked then and we see the procedures also. The medical focus of the novel is on breast cancer. At this time there was no way to operate on a woman with breast cancer without killing her. Dr. Seishu had been experimenting for a long time on animals in order to find a way to preform pain free surgery. He made use of various mixtures of herbs and modern chemicals and had succeeded on animals numerous times. He needed to try his procedures on a human subject. The nature of the character of the mother in law and the wife come out wonderfully when we see them both demanding to be the first human test subject. Ariyoshi takes us deeply into the dynamics of the household relationships. The events that follow are really quite exciting and I will relay no more of the plot of this wonderful book. I think what I enjoyed most about this book was seeing how medical practice worked in Japan in the early 19th century. A doctor's office was for sure a family business. The relationships between the two women was very well done and we get a feel for the marriage also, though this might be underdeveloped. I recommend The Doctor's Wife very highly. There is a very subtle intelligence in this book. I will soon read and post on another of her novels The River Ki. Yesterday I did a post observing the one year anniversary of my blog in which I looked back on what my first year of blogging meant to me. I intentionally kept the post relatively brief as I could have gone on for a long time about how much blogging and the international book blogging community means to me. I want to now consider my plans and hopes for year two. One thing I have learned in life is that something will always come along to totally surprise you but I will talk of my plans anyway! I plan to continue reading Japanese novels and posting on them. I am continually discovering new to me Japanese writers whose work I want to know better. As a quick note, reading novels by Asian authors is really not a way out of the limits of a purely Euro-centric education. The only way out is to go deeper in. I also want to read more works by Indian, Filipino, Indonesian and Malaysian authors. Four months ago I began after a very long period of avoidance to read short stories and post on them. Short stories will be a fixture on my blog from now on. I have found them a great way to discover new to me writers and I am coming to appreciate the short story as a literary art form. I like to do "reading projects". As of now I have three on going projects on my blog. One is reading and posting on all of the short stories of Katherine Mansfield. I am one third of the way through this project and expect to complete it this year. I also recently started a big long term project which perhaps I will never finish, the fiction of Virginia Woolf. I also have a 3rd project, Australian Bush Writers. I think I am the only one in the blogging community posting on this topic on a regular basis. There some really good writers in this category and I will continue on in this project indefinitely. All of the works I will read in this category can be read online. I am open to more reading challenges and group reads. I will continue to read classics and post on them. I do not have a structured method for which canon status books I read I just sort of let one book lead to another. I am open to reading quality 21th century fiction and I love to discover new to me 20th century writers. I am open to any suggestions and comments and always like to hear from readers even if it is just to say hello. It is a little hard for me to believe but my blog is now over a year old. I will always remember when I was writing my first blog post and my wife asked me "who will read these posts on the books you read?". My only answer was "I do not know". Since then The Reading Life has become a very important part of my life. I checked back on my first few posts and looked at the comments there. I was very happy to see that of the first ten people who commented on my blog nine of them are still regular visitors. To those who take the time to comment on my posts all I can say is "Thank you". I have learned a great deal from the comments that have been left. Many of readers to my blog (based on blogger stats ) seem probably in search of information for a school project. Once I saw a huge spike up in readership all drawn to one post on a book about WWII in the Philippines. 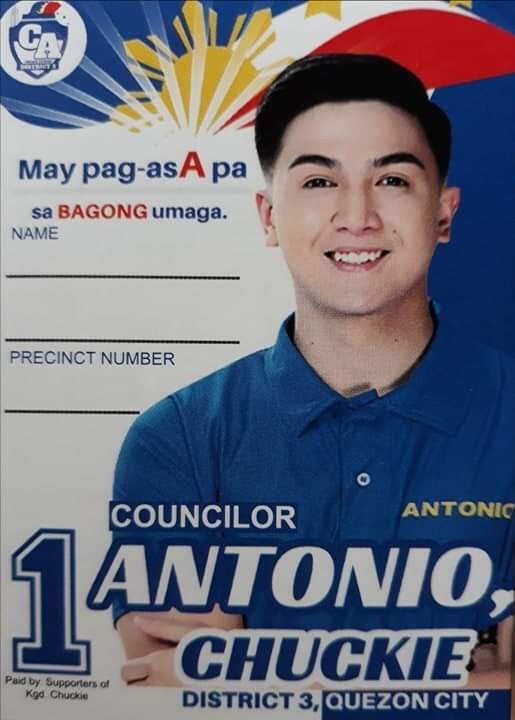 I was happy of course to get the readers but I did laugh when I found out the book was assigned reading at the University of Philippines and I had the only post on the web on this book. I laughed to myself as I imagined a lot of students all turning in my post as their report on the book!. I am inclined to say a lot about my blog, what it means to me, how grateful I am for my very international readership, how blogging has affected my own reading habits but really I just want to say thanks to those who read my blog. I also want to give a special thanks to my quite brilliant cousin in Texas who has helped me with editing chores. I will do a second short post on my future blogging and reading plans. Guy de Maupassant (1850 to 1893) is always listed among great short story writers. His many short stories deal with real life in Paris among ordinary people. I have previously posted on his novella, Pierre Et Jean (1888) which I greatly enjoyed and admired. "A Father's Confession" (I read this online and the date of the story and the translators name are not given-my guess is the story was written around 1880) opens at end of a funeral procession for a man who enjoyed a long life free from any blame in the eyes of society. He had become affluent through hard work as an attorney and thrift. He was respected and respectable in every way and eye. His son was a counselor general and his daughter had married an attorney and moved in the best social circles. His wife of many years whom he always treated royally had died a few years before. His children were very distraught over his passing having loved him as wonderful father. My children, my dear children, I could not sleep the eternal sleep in peace if I did not make to you from the tomb a confession, the confession of a crime, remorse for which has ruined my life. Yes, I committed a crime, a frightful, abominable crime. I was twenty-six years old, and I had just been called to the bar in Paris, and was living the life off young men from the provinces who are stranded in this town without acquaintances, relatives, or friends. As I read the confession I was very shocked and ashamed for the father but I found his confession and the reasons behind his crime very credible. I think anyone who has lost a greatly admired father will be very moved by this story and can understand the emotional impact the confession would have on his adult son and daughter. I will not spoil the story by explaining his crime. I recommend this story to any and all. Guy de Maupassant is on all short lists of world's best short story writers. 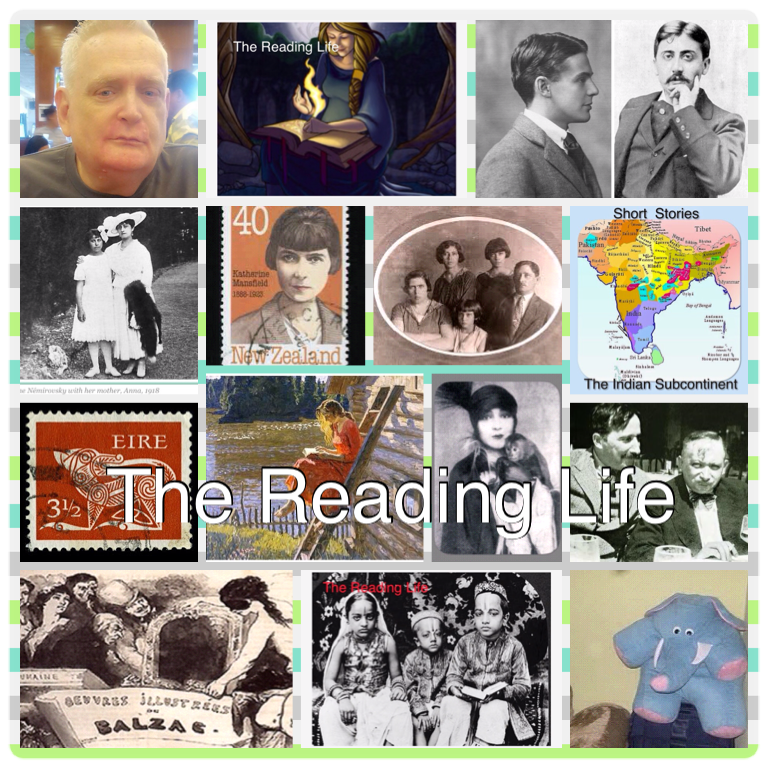 "A Father's Confession" can be read on line at Classic Reader. I have known I needed to read Virginia Woolf (1882 to 1941) for a long time. I am so glad I have now begun to read her work. So far I have read and posted on two of her novels, The Waves and Jacob's Room, three short stories, and two essays. Probably I will never finish it but I have begun the Reading Life Virginia Woolf Project in which I will undertake to read all her fiction. I take my reading projects quite seriously and I try to acquire background information that may increase my enjoyment and understanding of what I read. After reading the normal web pages I knew I needed and very much wanted to read Virginia Woolf by Hermoine Lee. I read her Edith Wharton in late 2008 and I knew that her biography on Woolf would be superbly well written and quite authoritative. It is also long enough (893 pages) to give Lee space to say what she wants. I am a bit more than half way through this book (I will attempt a post on it when completed) and I really love it. Lee talks a lot about the houses Woolf lived in and Woolf's feeling for the history of the places she called her home. In this context, she speaks of one of Woolf's short stories, "A Haunted House". As I said earlier, I see the short stories of Woolf as kind of a training ground for reading her longer works of fiction and I am in the process of deciding if she or her best female friend and worse female rival Katherine Mansfield is the best female writer of short stories ever. As a writer and cultural icon Woolf towers above Mansfield (who did live a very short life) and all other 20th century women writers in any language. Death was the glass; death was between us; coming to the woman first, hundreds of years ago, leaving the house, sealing all the windows; the rooms were darkened. He left it, left her, went North, went East, saw the stars turned in the Southern sky; sought the house, found it dropped beneath the Downs. "Safe, safe, safe," the pulse of the house beat gladly. "The Treasure yours." "Death was the glass.."-No one has said what this means better. I think anyone who has a partner they deeply love and know they will be with from now on has to think about the one who will be left behind. Here we slept," she says. And he adds, "Kisses without number." "Waking in the morning " "Silver between the trees " "Upstairs " "In the garden " "When summer came " "In winter snowtime " "The doors go shutting far in the distance, gently knocking like the pulse of a heart. "Safe, safe, safe," the heart of the house beats proudly. "Long years " he sighs. "Again you found me." "Here," she murmurs, "sleeping; in the garden reading; laughing, rolling apples in the loft. Here we left our treasure " Stooping, their light lifts the lids upon my eyes. "Safe! safe! safe!" the pulse of the house beats wildly. Waking, I cry "Oh, is this your buried treasure? The light in the heart. "A Haunted House" is a beautiful story about love, death and history. It is short and I will admit I read it three times. Upon completion of Lee's biography I will begin Mrs Dalloway. It can be read on line HERE. 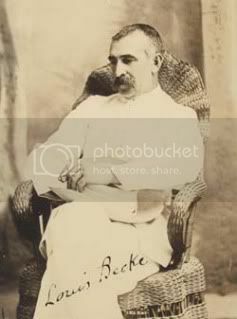 George Lewis Becke (1855 to 1913) was born in Port Macquaire, New South Wales, Australia of English parents. He did not enter school until he was 12 and at age 14 he and his brother traveled to San Francisco. At age 16 he stowed away on a voyage to Samoa. For two years he worked in Samoa as a book-keeper. At age 18 he met the infamous Captain Bully Hayes, a legendary south sea swindler, near pirate and infamously a "blackbirder". In the slang of the time a "blackbirder" was one who captured south sea natives and sold them into slavery. For about a year Becke cruised the waters of the Salomon Islands and New Guinea with Captain Hayes. Upon return to New South Wales Becke was unable to obtain employment that suited him. He had become friends with a contributor to The Bulletin and he began to submit stories loosely based on his South Sea Adventures to The Bulletin. In time he was to publish over 30 books, mostly collections of stories, about the adventures of Australians in the South Seas. In the strictest sense Becke is not a bush or outback writer. Given this, the same forces that drove many to live and work in the outback of Australia drove others to very dangerous work as sailors and offshore traders. Following the lead of the “devil−doctors,” who, stripped to the waist, and with their heads covered with the hideous masks used in their incantations, looked like demons newly arisen from the pit, the yelling swarm of natives at last reached the fence outside Blount's house; and Mr. Deighton, with an inward despair saw among them some of his pet converts, stark naked and armed with spears and clubs. "The Tapu of Banderah" lets us get a feel for the terror the Australians must have felt while not overlooking the deep irony in their creation of the situations that were so fraught with danger for them. This story and others by Becke can be read HERE. Becke is a good writer of adventure stories that keep our attention. I think if I had lived in Australia in the late 1890s I would have been very happy to see that The Bulletin had another George Louis Becke story in it. I have previously posted on five writers, Barbara Baynton, Henry Lawson, Andrew "Banjo" Patterson, Marcus Clarke, and Rudd Steele in my Australian Bush Writers Reading Project. I am including George Lewis Becke in this project also even though he was a writer largely of sea tales. His stories are of the same era and show the same spirit and my guess is many an outback resident escaped in his stories. My primary source of information on the life of Becke is the Australian National Dictionary of Biography. On May 19, 2010 thanks to one of my favorite online reading web pages, East of the Web:Short Stories I read my first Katherine Mansfield short story, "Miss Brill" when they selected it as their short story of the day. 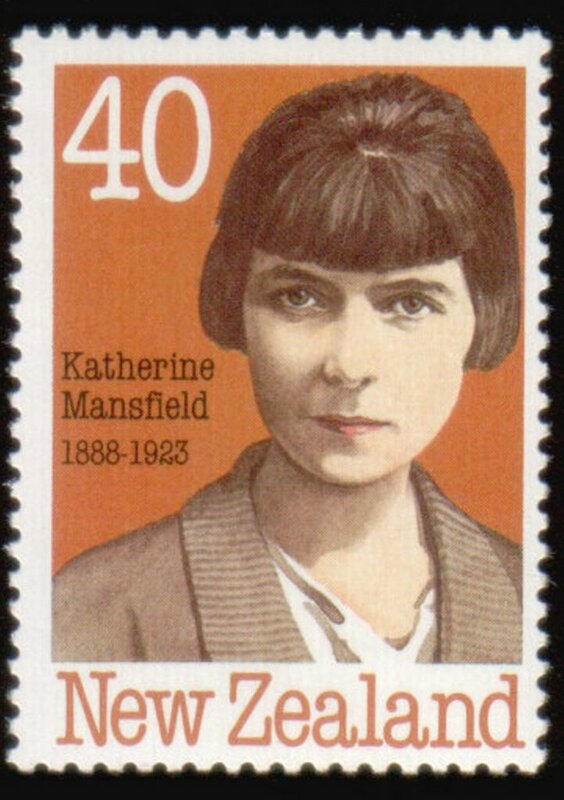 I am embarrassed a bit to admit I had until then never heard of Katherine Mansfield. After reading this story I knew at once I had discovered a new to me writer that I wanted to learn more about. A bit of research led me to two of her most famous stories, "The Doll House" and "The Garden Party". By then I had begun to research her online and discovered, among other things, that she was the only writer whose talent made Virginia Woolf jealous. 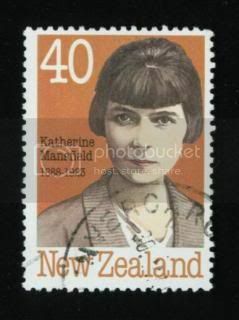 Katherine Mansfield (1888 to 1923-New Zealand) had a fascinating but far too short a life (I have talked a little bit about it in my prior posts) in which her published output was around 75 short stories. Recently I read five short stories written in the last two years by finalists and winner of the Caine Prize for African Literature. All of these stories are very good works well worth reading. If I could presume to offer one bit of advice to these five writers it would be "read the stories of Katherine Mansfield". I am now about 1/3 way through my project of reading all the short stories of Katherine Mansfield. Almost all of the stories have been collected in four books edited by Mansfield's husband, John Middleton Murray. The wonderful New Zealand Electronic Text center has all of these four books online in an easy to read format and a lot more also including some great pictures and large selections form her journals, notebooks, and letters. "The Little Governess" is really a small masterpiece of the narrative art. ( Many, maybe most serious readers, say they do not really enjoy short stories as they do not construct a complete world into which they can enter. This feeling kept me from reading short stories for many years. I have now seen I was not correct (for me at least) in my regard toward the short story. I am coming to think more and more that the widespread aversion to the short story comes almost from a laziness on the part of the reader and a strong desire to escape through reading.) It is about a young woman traveling by sea (of course LOL as no planes or chunnel then!) from England to Germany to be the governess for the children of the German baron and his wife. The young woman is very naive in the ways of the world and she receives an expensive crushing education on her trip. We in just a few pages go deeply into the world of the young woman and several people she encounters. I do not want to give away the plot but it really is a sheer delight. Yes, I will admit it left me very much wanting to learn more about what would happen to the little governess and that was very stimulating to my imagination. "The Little Governess" is just a wonderful story that would be hard to over praise. One might concede that Germans are not portrayed favorably in Mansfield's stories (her brother died in WWI during a training exercise). "A Dill Pickle" is about the chance meeting in an outdoor cafe (Mansfield and her circle spent a lot of time in cafes and restaurants and they figure in a lot of her stories-she did not work in the ordinary sense and had a lot of leisure time) of a man and woman who six years ago seemingly had a fairly intense relationship but have since been apart. The exact nature of their relationship is not spelled out. That is one of the pleasure of Mansfield's stories in that we get to be active in the construction of the world of the stories we read. Both characters are bit detached it seems, especially the man. In the case of the man, it almost seems he has been sitting in the cafe for the last six years watching the world go by. Both the man and woman are lonely and this story helps us understand the causes of loneliness. The last few lines are simply brilliant. It is the loneliness which is so appalling. We whirl along like leaves, and nobody knows—nobody cares where we fall, in what black river we float away. The tugging feeling seemed to rise into her throat. It ached, ached ; she longed to cry. " That will do," she whispered. " Give me the pins." As he stood beside her, so submissive, so silent, she nearly dropped her arms and sobbed. 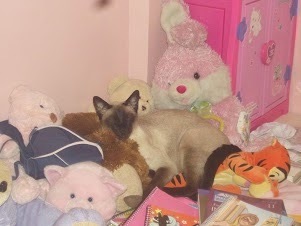 She couldn't bear any more. "The Escape" centers on a couple on a train. (Mansfield spent a lot of time traveling.) In just a few pages we can see deeply into the dynamics of the relationship between the couple on the train. As I read the opening lines I felt Mansfield had beautifully captured the thoughts of a man who tries to keep the peace by agreeing with everything his wife says. He thinks they are happy until he sees how another woman treats her husband. I will next begin to read the stories in the collection, Something Childish and Other Stories published posthumously by her husband. These are largely her early stories. There are 26 stories in this collection and I expect to do five or six posts on these stories. There are 20 stories in The Doves Nest and Other Stories. So far I have read and posted on 27 of her stories which leaves me 46 to go. There are also a few stories not included in the four collections and some unpublished stories. Of course there is the larger world of her letters and journals but my reading project focuses on her published fiction. I recently read and posted on Emile Zola's (1840 to 1902-Paris) Nana for the Classics Circuit. As soon as I saw that Book Bath and Thyme For Tea were hosting an event dedicated to French culture, Paris in July, I knew I wanted to participate. A few months ago I began to overcome a life time aversion to the short story so I decided I would read and post on a couple of short stories by canon status French authors for the event. I enjoyed Nana (some who read it find it takes a very harsh a view of people) and my favorite on line reading web page Dailylit.com had "The Death of Oliver Bescaille" one of Zola's short stories on line so I decided to read it. Dailylit.com does not normally give either the translator or date published information on its choicies and I was unable to find this information in a quick search. My guess on the publication date is from 1864 to 1880. 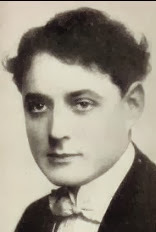 Oliver Bescaille, the central figure and narrator of "The Death of Oliver Bescaille" suffers from syncope. Victims of this disease blackout so deeply that they are often thought to be dead but they can be in fact aware of what is going on around them. At the time of the story (set in Paris) this disease was unclassified by doctors and when Oliver has an attack the doctor called by his wife pronounced him dead. Oliver can hear and see everything that is going on but his eyes appear glazed over and he cannot move or speak and his body feels cold. It was on a Saturday, at six in the morning, that I died after a three days' illness. My wife was searching a trunk for some linen, and when she rose and turned she saw me rigid, with open eyes and silent pulses. She ran to me, fancying that I had fainted, touched my hands and bent over me. Then she suddenly grew alarmed, burst into tears and stammered: "My God, my God! He is dead!" I heard everything, but the sounds seemed to come from a great distance. My left eye still detected a faint glimmer, a whitish light in which all objects melted, but my right eye was quite bereft of sight. It was the coma of my whole being, as if a thunderbolt had struck me. My will was annihilated; not a fiber of flesh obeyed my bidding. And yet amid the impotency of my inert limbs my thoughts subsisted, sluggish and lazy, still perfectly clear. Oliver is left in the parlor in this condition for several days. He hears what all those who come to pay their respects say about him, good and otherwise. Oliver was basically a decent husband and father, no big accomplishments but no major faults either. In a few days Oliver is taking to the cemetery and placed in the family tomb. He comes out of his attack and is able to open the tomb door and after escaping it he closes the door behind him. Oliver realizes he is now a free man, of sorts. He begins to roam the city of Paris dressing in rags as befits the living dead. A year or so passes and he returns to his old place of residence to see how his family is doing. What happens then is much the point and interest of the story so I will not spoil it. "The Death of Oliver Bescaille" is worth reading for a sample of the work of Zola. It is a well plotted and thought out tale if not a first rank example of the short story. I hope to post on a short story by Guy Du Maupassant next week. Osamu Dazai (1909-1948-Japan-pen name for Shuji Tsushima) was born into a wealthy family. He lived a life of considerable dissipation funded by his family money. He studied French literature in college where he met Masuji Ibuse (author of Black Rain) who helped Dazai begin to get his writings published in literary journals. He was not drafted into WWII because he had tuberculous. No Longer Human is the second best selling Japanese novel of all time, behind Kororo by Natsume Soseki. Shusaku Endo (1923 to 1996) is a very highly regarded post WWII Japanese novelist. He studied French literature in college and was raised as a Catholic, a very rare thing in Japan. There is a very good background post on Endo on In Spring it is the Dawn, which is hosting a discussion of Silence. There are links to several very good posts that cover the thematic details and talk about the historical period the book is set in, Japan in the 1600s on that web page. Given this I will just make a few observations on the work. 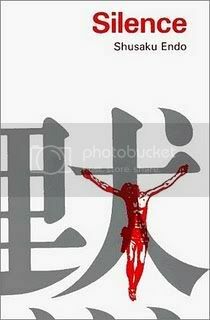 Silence is about the horrible persecution of the early Christian Missionaries (Catholics from Portugal) in Japan by the authorities. As the religion began to take a hold, those who had become Christians also could be subject to horrible punishments. To be a Christian was basically a criminal act in Japan in the 1600s. A good bit of the book, and the current discussion on it, revolves around the courage shown by most of the missionaries and the betraying of clandestine converts by others for payment. I was intrigued by conversations in the book concerning the relationship of Jesus to Judas. I found the descriptions of the tortures of the Christians very well done and, as all would, I felt great admiration for those who kept their faith while being tortured. I learned some interesting things about life in Japan in the 17th century from this book. As I was reading Silence I began to imagine the Japanese sending missionaries to Portugal to convert the natives there to forms of religious belief and practices current in 17th century Japan. The Japanese missionaries might have the best of intentions (even if those who financed them had other uses in mind for their work) but they would have been met with exactly the sort of reception the Christian missionaries got in 17th century Japan, if not worse. Leaving aside any spiritual considerations, the missionary is the tool of the colonizer in almost all cases. A missionary in 17 century Japan, The Philippines or Brazil might and often did have wonderful intentions and did his best to help those who he tried to convert but their efforts were financed by those interested in commerce and empire building, and not in saving souls. In many cases or even most, the missionary may have no idea why his mission is really being funded. This use of missionaries as a colonial tool is not just a European matter. Sometimes in reading Silence (which is in part about the seeming silence of God) I felt that there was a silence over these matters in the narrative. Silence is a well written historical novel. The introduction by William Johnston is very good. I think some readers appreciate this book almost as a religious text more than as a work of art. I am glad I read this book and think others will enjoy it also. In March this year I read and posted in Umberto Eco's (1932-Italy) The Name of the Rose. I enjoyed The Name of the Rose and learned a good bit about life in a medieval monastery in Italy from it. The Name of the Rose is by far his most read book. Yesterday I finished his The Mysterious Flame of Queen Loana and I enjoyed it a lot also. I really liked the subject matter of the novel as it deals directly with the role of books and remembered reading in the lives of book centered people, in theory the theme of my blog. The main character and narrator of the book is a dealer in antique books in his sixties. All of his remembered life he has loved books, literature and reading. He has a stroke and he can remember nothing but the contents of the 1000s of books plus magazines and newspapers he has read. He does not know his own wife, etc. His wife fills him in on the bare outline of his life but there are still huge holes in his memory. He goes to the ancestral country house of his family, a sprawling old mansion, and he finds a huge treasure trove of books, magazines, and newspapers along with all sorts of posters and such. He begins to reread all of the books he appears to have read in his youth as well as magazines and newspapers from the 1930s and 1940s. From these papers he is able to reconstruct the image of Fascist Italy. He begins to reconstruct his own life from the books. It is fascinating to see how Eco depicts this process. The book is a love story about literature. Many of the works referred to in the book are beyond my frame of reference but what matters is we can see the how literature shaped and enriched the man's life. This is a rich book with lots in it to entertain and edify us. Eco knows a really lot and it shows. The novel is profusely and beautifully illustrated with all sorts of art works and poster reproductions that are integral to the story. I would not classify it as a light read but I think those who give it the respect it deserves will be glad they read it. I will, I hope, read more of his books.